Demonstrators disrupted a press conference called today to announce the launching of a new political party. Calling for stricter border controls, he said 90% of those seeking asylum in Ireland were economic immigrants. 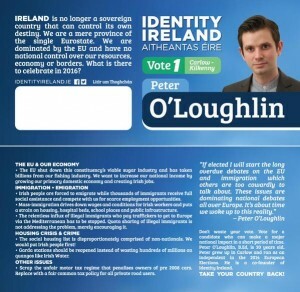 Identity Ireland launched the party after handing in its registration documents to the Dail. The new party proposes to run a number of candidates in the coming general election.